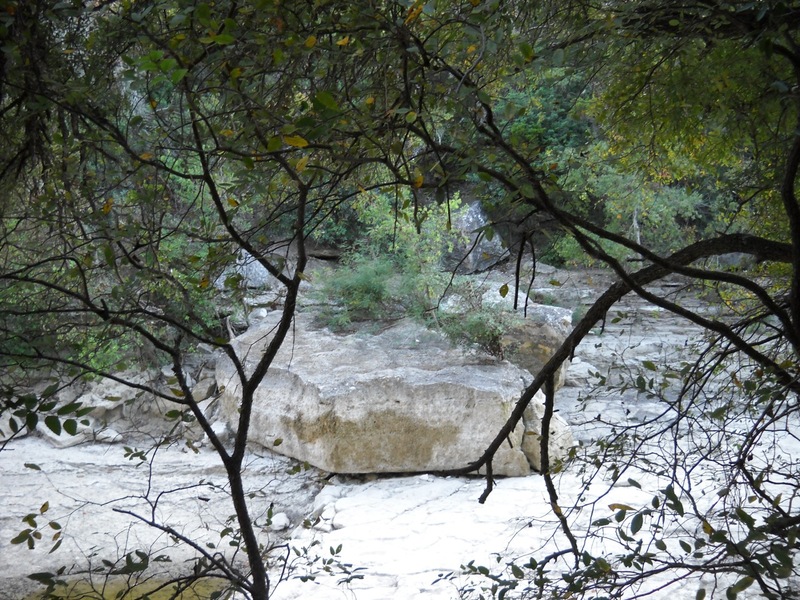 Here’s a shot through the trees on Barton Creek Greenbelt around 4 pm yesterday. We were out on a 6 mile hike looking at the trail from Zilker Access to Loop 360 Access, cataloguing the priority projects along the trail for the 5 person Barton Creek Trail Corps, funded by Impact Austin, Hill Country Conservancy, the Austin Parks Foundation and individual donors beginning in January 2011. We’ll be hosting a large number of volunteer workdays to help the crew with some of the bigger tasks, including lots of invasive species removal and management. The big focus along the trail will be fixing drainage and erosion issues.